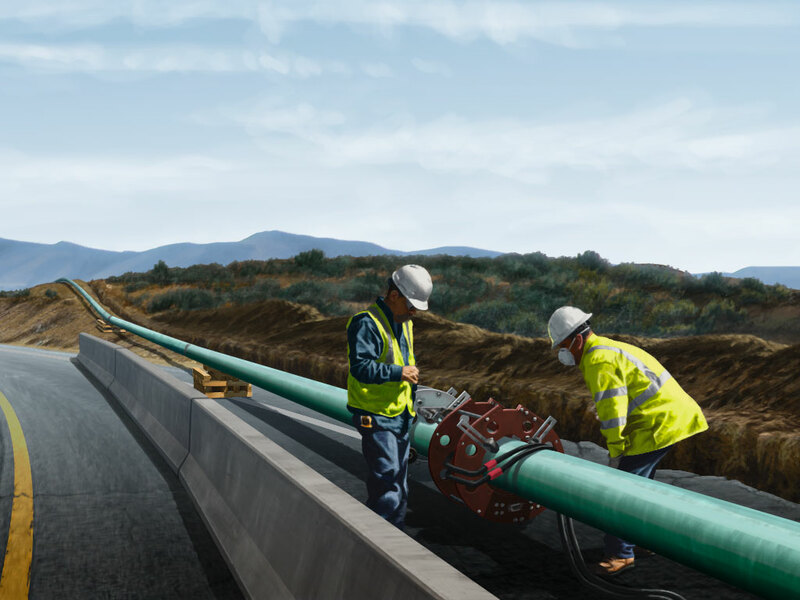 This original illustration of an energy pipeline joint coating construction scene with FBE fusion bonded epoxy being field applied. 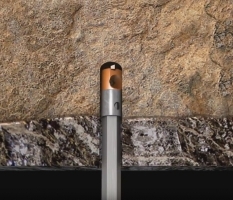 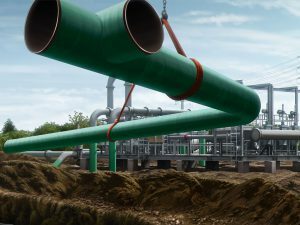 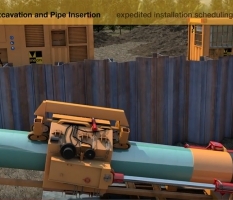 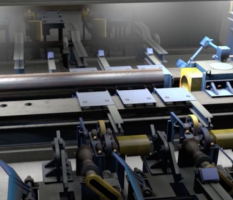 The full illustration presents both plant-applied coating services and field-applied pipeline joint coating in a combined pipeline construction jobsite scene. This energy pipeline joint coating illustration was created to function in its entirety as a calendar masthead and also have the left and right sides work independently as business unit brochure and ad images. 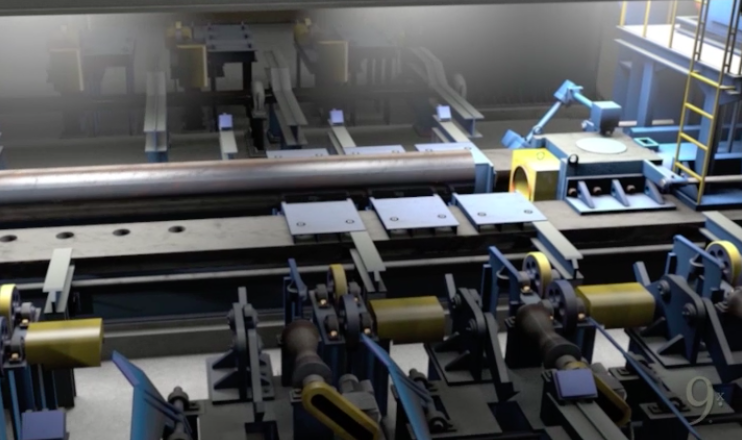 The production cost for this original illustration will be amortized through multiple uses over the next 3 years. Ninetimes (9x) original illustration and animation can combine multiple construction applications into difficult-to-stage jobsite scenes when photography can not. 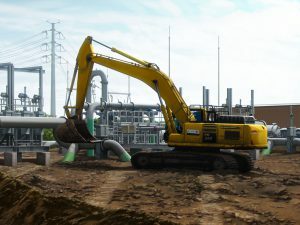 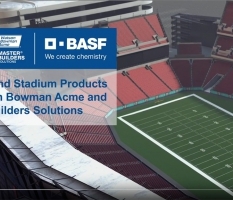 Our digitally-created illustration provides the flexibility needed to fully present complex construction services for use as online content, animated movies, print media and exhibit advertising.